The streaming service has some enticing additions of its own. This year, many high profile album and video premieres were exclusive to music streaming services. Apple Music debuted Drake's Views and both Blonde and Endless, Frank Ocean's new albums, while TIDAL got first dibs on Beyoncé's Lemonade, Rihanna's ANTI, and Kanye West's The Life of Pablo. There's been debate over the ethical value of exclusives and pushback from labels, and users loyal to any one platform have missed out on things exclusive to others. Non-TIDAL users probably aren't aware of the fair number of decent exclusives released on the service this year. We've compiled five standouts. This is a big one. Prince was notoriously litigious during his lifetime, but seemed happy to hand TIDAL the exclusive streaming rights to his music. 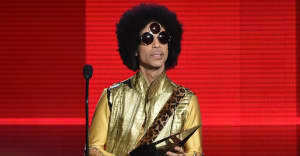 In a statement announcing the 2015 album HITNRUN, Prince said, "After one meeting, it was obvious that Jay Z and the team he has assembled at TIDAL recognize and applaud the effort that real musicians put in2 their craft 2 achieve the very best they can at this pivotal time in the music industry." However, Prince's estate is currently suing TIDAL for copyright infringement, and claims the service is illegally hosting the artist's back catalogue. So, who knows how long you'll be able to stream everything by the Purple One on TIDAL? 2. Jay Z's Reasonable Doubt documentary Jaÿ-Z: RD20. An in-depth, behind-the-scenes film about the mafioso-rap classic Reasonable Doubt, Jigga's first and arguably best album. 3. Full-length concerts by some of your favorite artists. TIDAL has shared full-length performances from YG and Jay Z, as well as festivals like TIDAL X, Made In America, and Ty Dolla $ign's Dolla Day. Sometimes the service has even lowered the paywall so non-subscribers can watch, but to view them again you'll need to sign up. 4. The-Dream's Genesis visual album. In January 2016, Terius Nash a.k.a. The-Dream released Genesis, a visual album. Like Lemonade, which was released three months later (also a TIDAL exclusive, but for a short time), the 10-track affair is loaded with symbolism that's begging to be parsed and just as much accessible R&B-pop. 5. The 21 Savage tour documentary. 21 Savage is currently performing on the HiHorsed Tour with Young Thug, and this new episodic new documentary series follows the Atlanta rapper as he works through his current momentum. Watch him perform and goof off with his friends backstage, then read his FADER cover story.